Lennox Bridge, currently the site of the Riverside Theatre. By the early 1880s the residents of Parramatta felt it was time they had facilities for bathing. 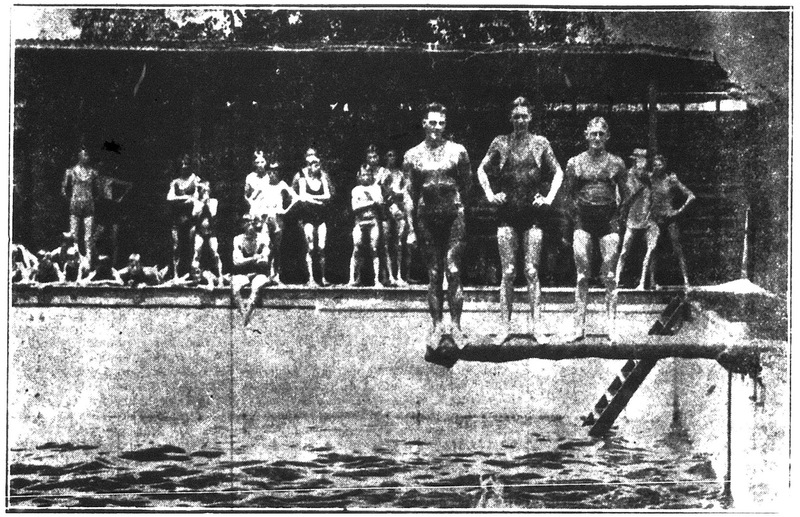 The river was polluted and the youth of the town had little chance to "practice the noble art of swimming." Council felt it couldn't waste any time to have "these necessary adjuncts to cleanliness and health erected".1 A deputation led by Mayor Joseph Booth waited on the Colonial Secretary on 15 June 1883 to request that a Bill be introduced to release a portion of land originally set aside for use as a market. The land in question is the current site of the Riverside Theatre next to the Lennox Bridge. The Bill was passed on the 10th September 1886 and the Council immediately invited competitive designs for the construction of the Baths and Market Building.2 Architects Hill and Smith and contractor Gazzard and Lavors were appointed in March 1887. The cost of the project was just over £5000.3 Mayor C. J. Byrnes suggested that because such a large sum of money was being spent constructing the Baths it would be appropriate to christen it “The Jubilee Baths” as a way of celebrating the Queen’s Jubilee.4 But by the time the Baths were completed in September 1888 the Jubilee had come and gone and a new name was required. 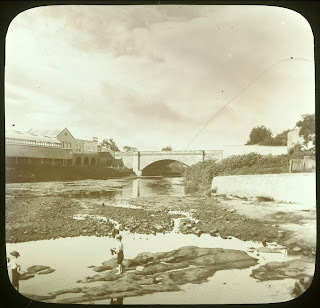 By all accounts it was a grand structure befitting Parramatta's centenary. In 1927 Council began making arrangements to purchase the land the Baths building was situated on from the Department of Lands. In 1928 the Parramatta Public Baths (Repeal) Act was enacted which allowed Parramatta Council to purchase the land. The Baths and Market building served Council until 1933 when it was demolished and a new baths building constructed. 6. The Public Baths. (1888, September 22). The Cumberland Argus and Fruitgrowers Advocate (Parramatta, NSW : 1888 - 1950), p. 3.